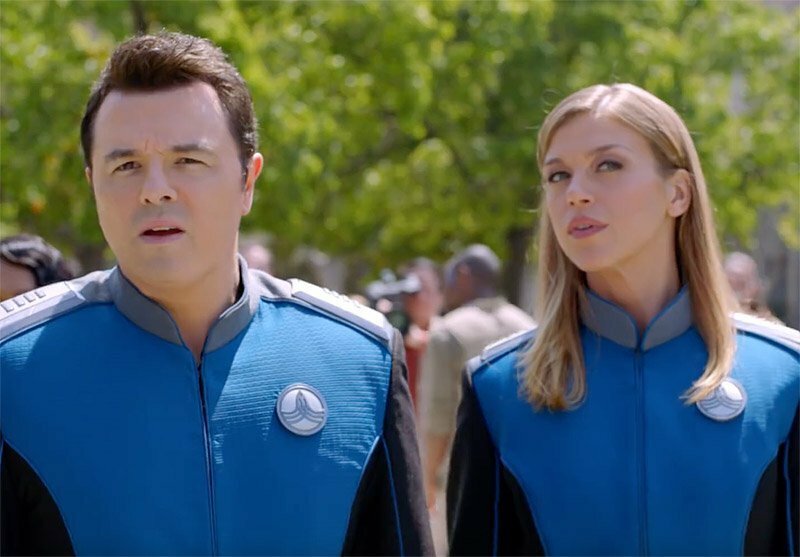 At Comic-Con yesterday, Fox revealed the Season 2 trailer for their sci-fi comedy series The Orville, which is set to premiere Sunday, December 30. Check out The Orville Season 2 trailer below! MacFarlane portrays lead Captain Ed Mercer along with Adrianne Palicki as Commander Kelly Grayson, Penny Johnson Jerald as Dr. Claire Finn, Chief Medical Officer, Scott Grimes as Lieutenant Gordon Malloy, Peter Macon as Lieutenant Commander Bortus, Halston Sage as Lieutenant Alara Kitan, J. Lee as Lieutenant Commander John LaMarr and Mark Jackson as Isaac, the Science and Engineering Officer. The Orville was created and written by Fox favorite Seth MacFarlane (Family Guy, American Dad). MacFarlane also executive produces the series along with Brannon Braga, David A. Goodman, Jason Clark and Jon Cassar. What do you think of The Orville Season 2 trailer? Are you excited for the new season? Let us know in the comments below!